Nicolás Correa successfully finished the METAV by selling a machine exhibited to a loyal customer to its brand "CORREA". The volume of customers has exceeded its expectations and they expect to close several operations soon. 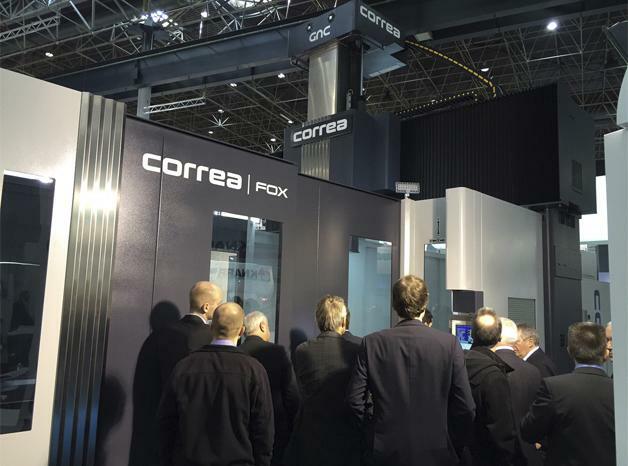 At this fair, Nicolás Correa has presented its new brand image "CORREA" based on a special service to its customers. "Passion for Service, Know -how and Technology working for you". NICOLÁS CORREA S.A., founded in 1947, is the parent company of the NICOLÁS CORREA GROUP, one of the leading industrial groups in Europe. European leader in milling solutions, NICOLÁS CORREA exports 95% of its production to the main industrialised countries, such as Germany, China, France, Great Britain, USA, Canada, etc., through a wide network of distributors and subsidiary branches.